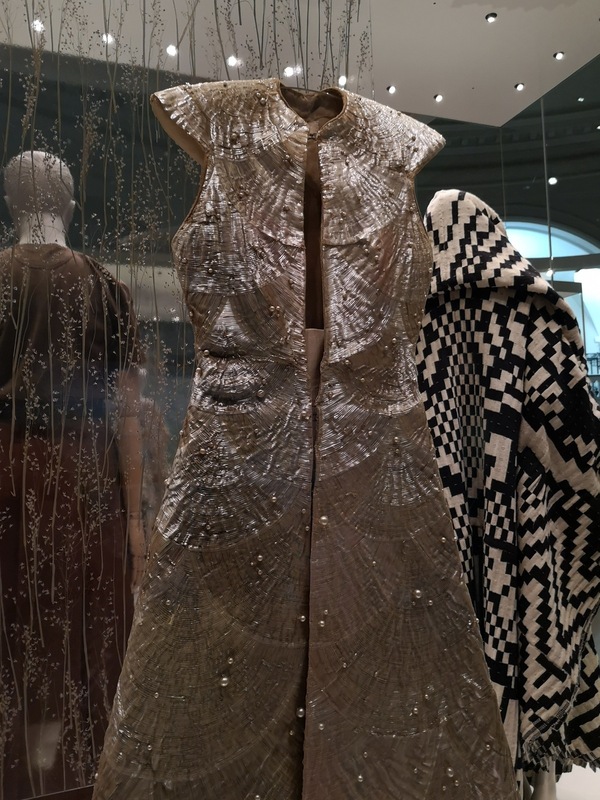 The Victoria and Albert Museum in London has a new Fashion exhibition now showing in their fashion and textiles area called ‘Fashion from Nature‘. 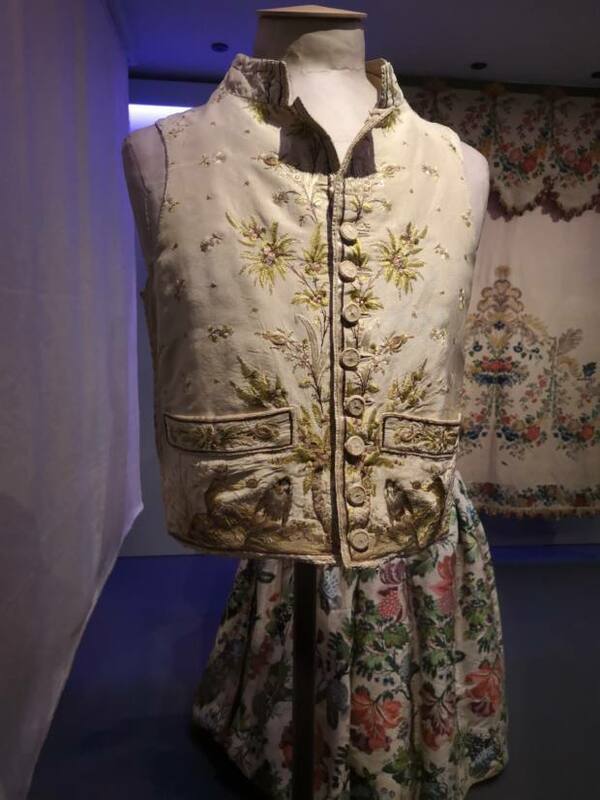 The exhibition provides an overview of how nature is used in fashion as well as how nature is reflected by fashion, which gives it a broader range of items to show and issues to call into question. Like most of the exhibitions held in this area, downstairs displays the historical items, talking about the production of fabrics such as linen and silk with videos showing the full process. 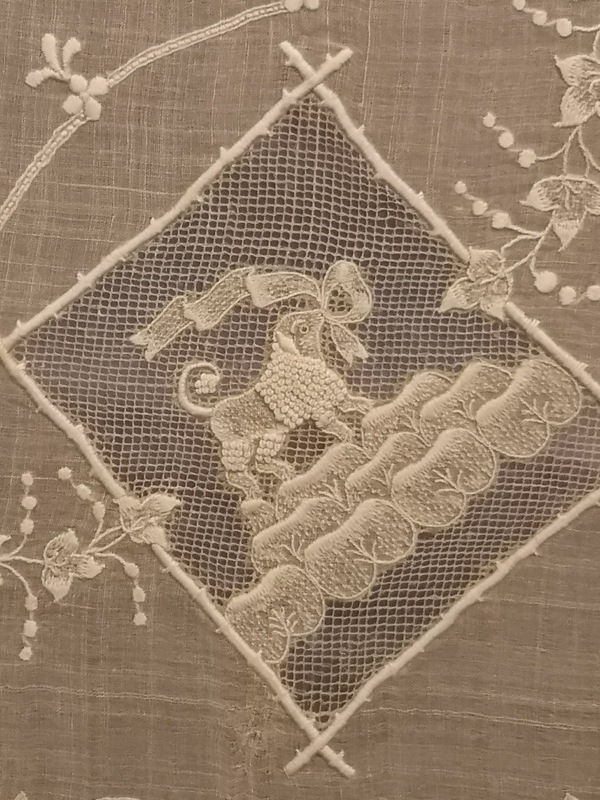 From an embroidery perspective, there are a few real treats for the traditional embroidery enthusiasts such as this silk-shaded waistcoat featuring these gorgeously expressive monkeys. 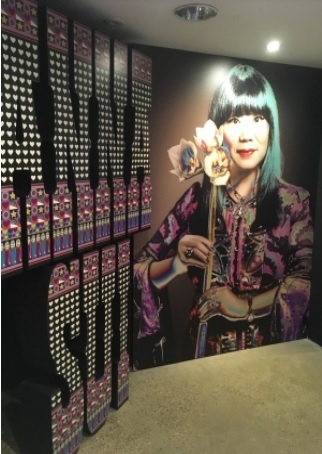 There are unsurprisingly a number of pieces which include animal harvested materials which are undoubtedly beautiful but the issues surrounding their use are well discussed in the displays. 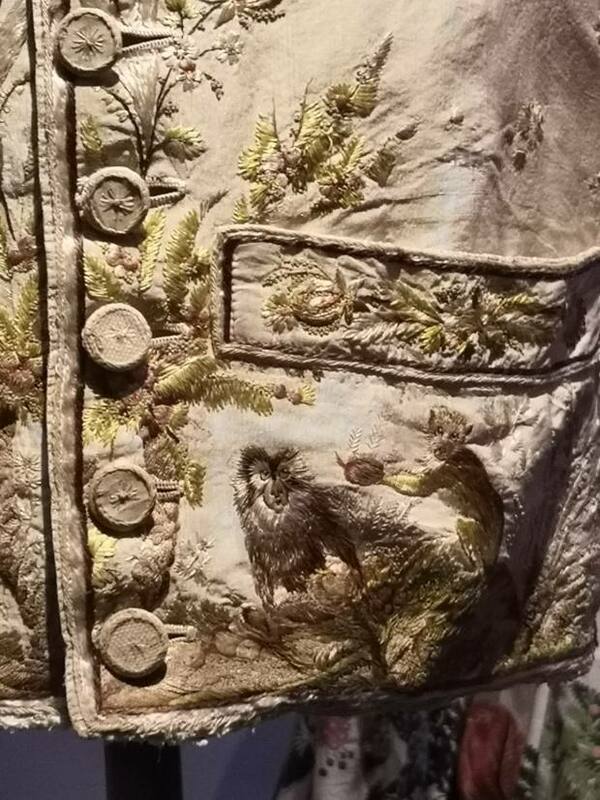 These are presented next to some alternatives to the use of feathers and bones which help to stop the exhibition from getting too heavy as you may be surprised at when people started to discuss the place of animal cruelty in fashion. 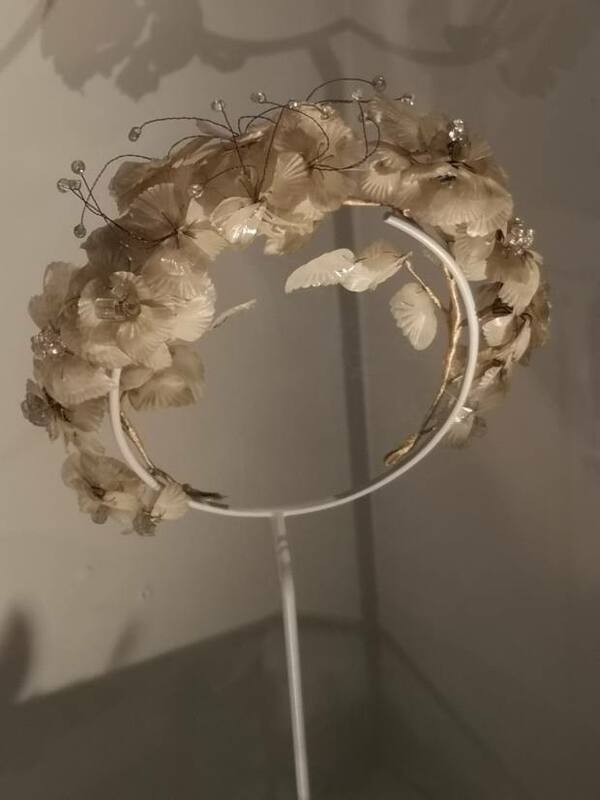 Some pieces are just surprising in themselves such as this fish scale floral headband from the Bahamas. 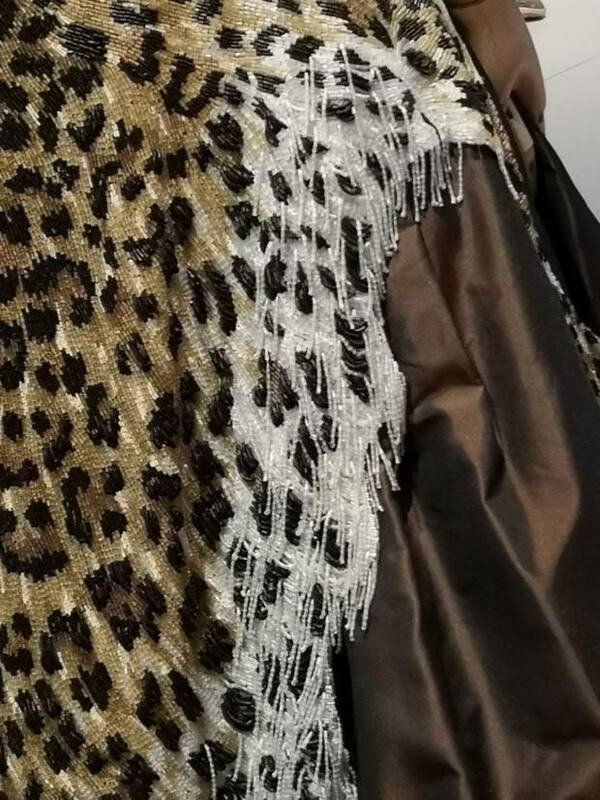 Some pieces are hard to believe they are what their descriptions say they are, such as the lace sample above which is made of pineapple fibres, an exquisite demonstration of how delicate this material can be used. 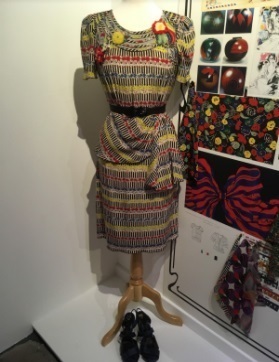 Upstairs, the pieces are all much more contemporary, focusing more on how fashion imitates and draws inspiration from nature rather than taking from it directly. The piece above is by Madame Gres which uses a combination of silk, cellulose fibres and artificial pearls to create an effect to imitate mother of pearl shell linings. 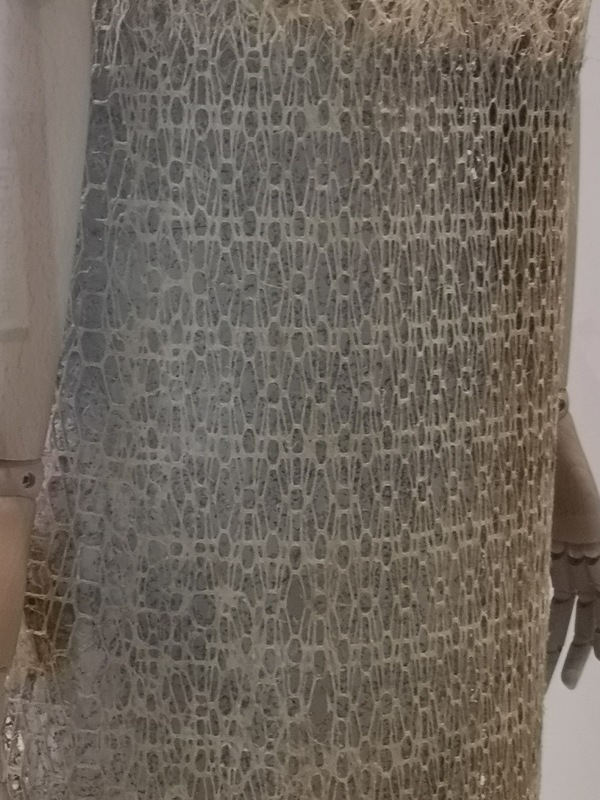 As the theme of this exhibition is quite broad, it is a great opportunity to see a hand-picked selection of great pieces from some legendary designers; Alexander McQueen, Stella McCartney, Vivienne Westwood are all there as well as this piece from Jean Paul Gaultier which demonstrates how well skins can be replicated in other materials like beads. 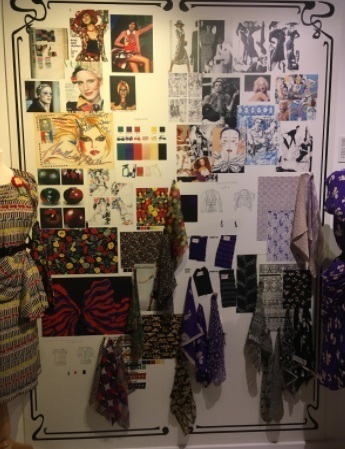 Finally, we are presented with some exhibits which explore some of the alternative materials and developments which may become viable alternatives for the future of fashion. There is a piece by Diana Scherer where she has been training grass root systems to grown into lace designs which is quite incredible. It is not a fully resolved material as yet but demonstrates potential opportunities in clothing. 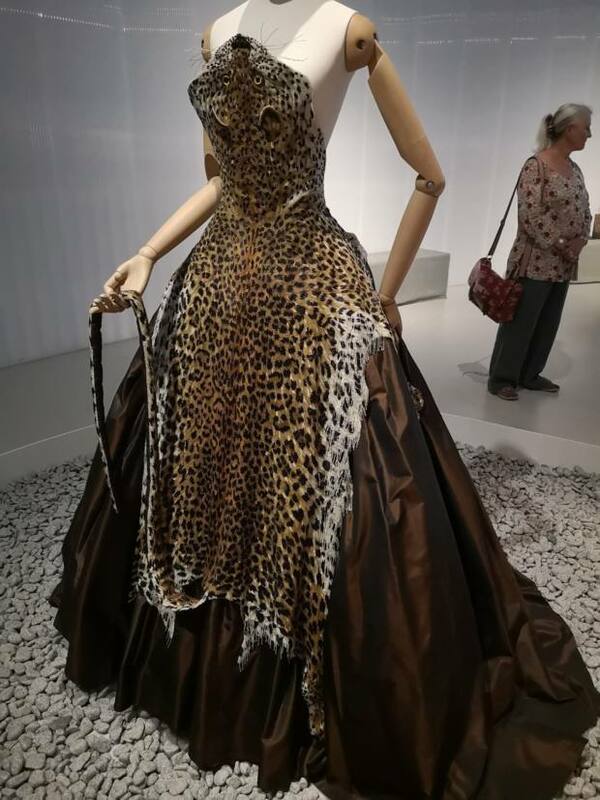 This exhibition is quite heavily loaded with questions of the issues that fashion has caused in the past, destruction of animals such as osprey, turtles and whales or the poisonous effects of dying and military as examples; and the way we continue to deal with these issues in the future. Therefore it is one that you can expect yourself to have to think about as well as admire the pieces on display. 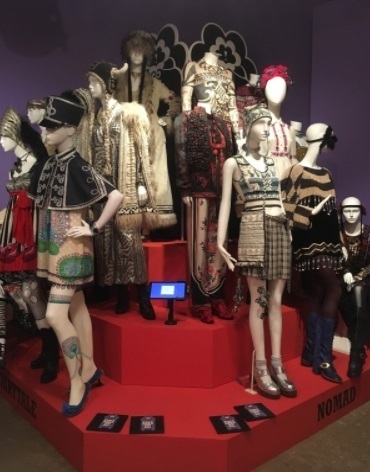 Fashioned From Nature is on at the Victoria and Albert Museum until the 27th Jan 2019, tickets start from £12.00.